Hello wine lovers and happy wine Wednesday! I hope you have had a sensational week filled with good friends, some laughs and a fabulous glass of wine! This week one day was one of those days and I really wanted to open up a nice, big bottle of good Italian wine. 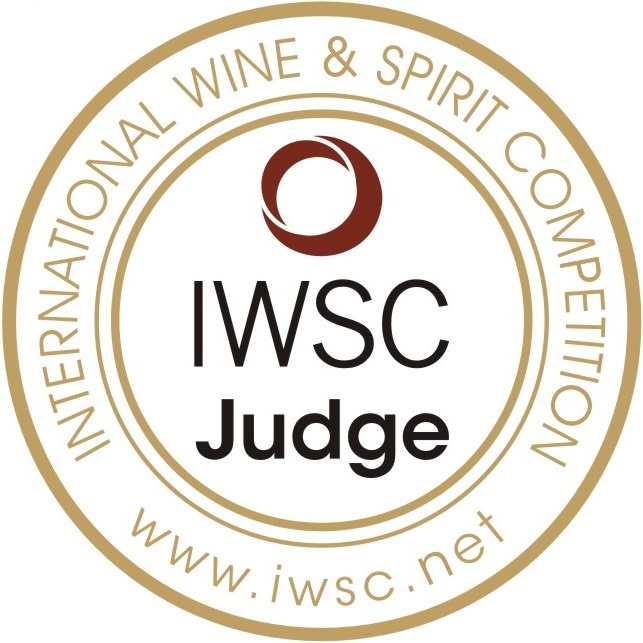 Enter – Fontodi’s Chianti Classico 2008. Well – I have to just come right out and admit it – I swooned at bit when I took a sip. Pure heaven. Chianti, in some circles, still gets a bit of a bad rap. It was really over-produced a few decades ago by none-quality wine makers and this product really flooded the market and consumers didn’t want any part of it. Happily – Chianti is making a come back and there are few things you need to look for when you want to buy a ‘great’ bottle of Chianti. First – it is good to ensure that you see the word “Classico” on the bottle…this means that the Chianti is made and the grapes are grown in the ‘classic’ region which is often equal to the ‘best’ region because it is the traditional home of the grape. In this case, Panzano or ‘the golden shell’ is the actual home of this vineyard. Chianti is made with Sangiovese grapes which offer wonderful acidity and juicy flavours. These grapes are picked by hand which adds to the stunning end-product. Fontodi’s Chianti Classico 2008 is a nice, medium ruby colour in the glass with a medium + aroma intensity of red berries, some sweet spice, vanilla and some intriguing dusty, dried herb aromas. On the palate, it was dry with a super refreshing high acidity. 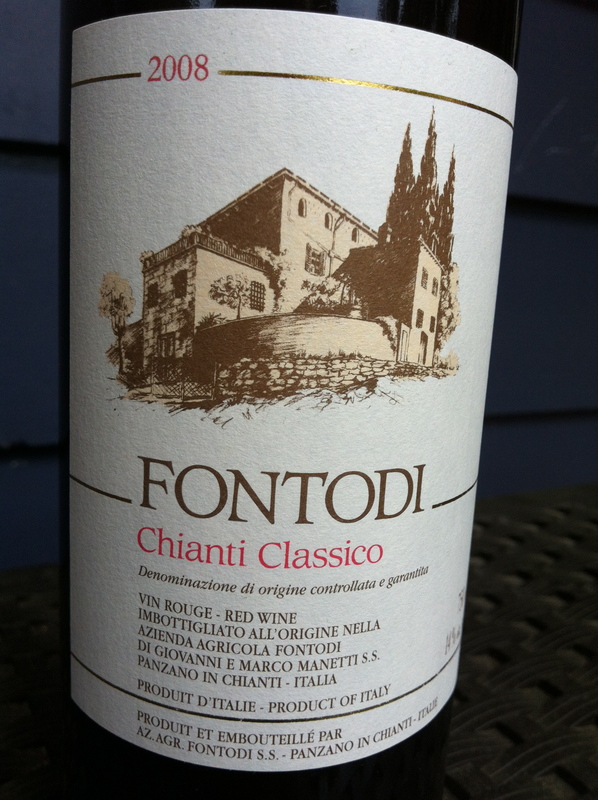 Fontodi’s Chianti Classico had medium tannins, medium + body and medium + alcohol. The flavours were pronounced and full of fresh and stewed strawberries and red cherries along with vanilla, minerality and that dusty dried herb note that was on the nose. This wine is fantastic – juicy yet smooth with a long finish. Absolutely falls into my “Hell Yes” category. At the B.C. liquor stores – it retails for $33.99 and it is worth every penny. However – they are having a bit of a promo on this wine until May 25th for $29.99. My suggestion – indulge this weekend! Fontodi’s Chianti Classico is a very good wine. You can absolutely drink it now but you could also cellar it for a few more years and enjoy more of the savoury and earthy components to the wine. Italy was my choice for this weeks’ review as I am coming up to my 6 year wedding anniversary to my love and best friend, David. We had a beautiful wedding with an Italian theme as we headed off for a month together in Italy for our ‘luna di miele’…honeymoon. Italy is a magic country. I look back on that month almost 6 years ago now and realize that I am now even more in love with David now. Pretty awesome if you ask me! Here’s to love! Here’s to Italy! Here’s to Fontodi’s Chianti Classico!